January 2, 1995 – RAW: Bam Bam Bigelow & Tatanka vs The Allied Powers (Lex Luger & The British Bulldog) ended in a Double Countout, Duke Droese b Mike Bell, Jeff Jarrett b Buck Quartermaine by Submission, The Allied Powers (Lex Luger & British Bulldog) b Bam Bam Bigelow & Tatanka. January 9, 1995 – RAW: Owen Hart b Razor Ramon by DQ, Hakushi b Matt Hardy, King Kong Bundy b Gary Sabaugh, Howard Finkel b Harvey Wippleman in a Tuxedo match. January 16, 1995 – RAW: 1-2-3 Kid & Bob Holly b The Heavenly Bodies (Tom Prichard & Jimmy Del Ray), Mantaur b Jason Arndt, Bret Hart b Jeff Jarrett, Mabel b Lee Toblin. January 23, 1995 – RAW: The Smoking Gunns (Billy & Bart Gunn) b 1-2-3 Kid & Bob Holly, Irwin R. Schyster b Buck Quartermaine, The British Bulldog b The Black Phantom. January 30, 1995 – RAW: King Kong Bundy b Mabel, Hakushi b Ricky Santana, Aldo Montoya b David Sierra, The Smoking Gunns (Billy & Bart Gunn) b 1-2-3 Kid & Bob Holly, Kama b Jumbo Berretta. February 20, 1995 – RAW: Bam Bam Bigelow b Gary Sabough, Adam Bomb b Rip Rogers, The Blu Brothers (Jacob & Eli) b Leroy Howard & Mark Starr, Diesel b Jeff Jarrett. February 27, 1995 – RAW: Lex Luger b Tatanka by countout, Owen Hart b Larry Santo by Submission, Doink The Clown b Bob Cook, Kama b Ken Raper. March 6, 1995 – RAW: Shawn Michaels b The British Bulldog, Bob Backlund b Buck Quartermaine by Submission, Duke Droese b Steven Dunn. March 13, 1995 – RAW: The Blu Brothers vs The Headshrinkers ended in a Double Countout, Jeff Jarrett b Barry Horowitz by Submission, Jerry Lawler b Bret Hart by countout. March 20, 1995 – RAW: Razor Ramon b Henry Godwinn, King Kong Bundy b Adam Kroomes & Raven Clark in a handicap match, The Smoking Gunns (Billy & Bart Gunn) b The Heavenly Bodies (Tom Prichard & Jimmy Del Ray). March 27, 1995 – RAW: Bret Hart b Owen Hart by Submission in a No Holds Barred Match. April 3, 1995 – RAW: Hakushi b Bob Holly, The Allied Powers (Lex Luger & The British Bulldog) b Well Dunn, Alundra Blayze b Bull Nakano, Men on a Mission (Mabel & Mo) b Ben Jordan & Tony Roy. April 10, 1995 – RAW: Adam Bomb vs Tatanka fought ended in a Double Countout, The Headshrinkers b Mike Bell & Tony DeVito, Kama b Scott Taylor, Bret Hart & 1-2-3 Kid & Bob Holly b Owen Hart & Yokozuna & Hakushi. April 17, 1995 – RAW: Jean Pierre Lafitte b Duke Droese, Doink The Clown b Raymond Roy, Owen Hart & Yokozuna b 1-2-3 Kid & Bob Holly, Henry Godwinn b Rich Myers. April 24, 1995 – RAW: The Smoking Gunns (Billy & Bart Gunn) b Barry Horowitz & The Brooklyn Brawler, Bertha Faye b La Pantera Serena, Diesel b Bam Bam Bigelow, Aldo Montoya b The Black Phantom. May 1, 1995 – RAW: The Allied Powers (Lex Luger & The British Bulldog) b Ron Hagan & George Anderson, Bob Holly b Butler Stevens, Mantaur b Sonny Rogers, Sycho Sid vs Razor Ramon ended in a No Contest, Adam Bomb b Dave Sigfrid, Men on a Mission (Mabel & Mo) b Kevin Krueger & Bill Duke. May 8, 1995 – RAW: Jeff Jarrett b Doink The Clown by Submission, Hakushi b Gary Scott, Bart Gunn b Owen Hart. May 15, 1995 – RAW: Yokozuna b Nick Barberry & Bill Weaver in a handicap match, Man Mountain Rock b Iron Mike Sharpe by Submission, Bob Holly b Mantaur, Bam Bam Bigelow b Irwin R. Schyster. May 22, 1995 – RAW: Razor Ramon b Mike Bell, Hunter Hearst Helmsley b John Chrystal, The Allied Powers (Lex Luger & The British Bulldog) b Tony DeVito & Bill Payne, Kama b Barry Horowitz, Shawn Michaels b King Kong Bundy. May 29, 1995 – RAW: Sid b Mike Khoury, Adam Bomb b Bob Cook, Hakushi b John Snakowski, Men on a Mission (Mabel & Mo) b Gary Scott & Aaron Ferguson, The Undertaker b Jeff Jarrett. June 5, 1995 – RAW: Savio Vega b Kenny Kendall, Skip b Barry Horowitz, Owen Hart vs The British Bulldog ended in a Draw, Jean Pierre Lafitte b Jerry Flynn. June 12, 1995 – RAW: Bam Bam Bigelow b Duane Gill, Kama b David Haskins, Man Mountain Rock b Bob Cook by Submission, Techno Team 2000 b John Chrystal & Mike Khoury, Yokozuna b Lex Luger by DQ. June 19, 1995 – RAW: The Undertaker b Mike McReynolds, Adam Bomb b Bill Payne, Sycho Sid & Tatanka b The Headshrinkers, Hunter Hearst Helmsley b Buck Quartermaine, Shawn Michaels b Gus Kantarrakis. June 26, 1995 – RAW: The Smoking Gunns (Billy & Bart Gunn) b Jason Arndt & The Black Phantom, Skip b Scott Taylor, Man Mountain Rock b Phil Apollo by Submission, King Mabel b Kenny Kendall, Savio Vega b Jeff Jarrett by DQ. 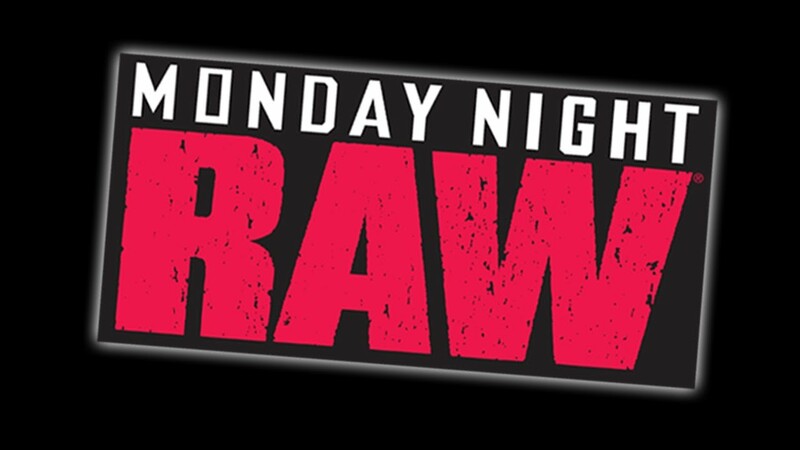 July 3, 1995 – RAW: 1-2-3 Kid b Mike Bell, Bob Holly b The Brooklyn Brawler, Henry Godwinn b Barry Horowitz, Sid b Bam Bam Bigelow, Waylon Mercy b Jeff Hardy by Submission. July 10, 1995 – RAW: The Roadie b Jerry Flynn, Savio Vega b Mike Khoury, Hunter Hearst Helmsley b Matt Hardy, The Allied Powers (Lex Luger & The British Bulldog) b Tatanka & Henry Godwinn. July 24, 1995 – RAW: Shawn Michaels b Jimmy Del Ray, The Smoking Gunns (Billy & Bart Gunn) b John Faulkner & Rick Stockhauser, Waylon Mercy b Gary Scot by Submission, Bret Hart b Hakushi by Submission. July 31, 1995 – RAW: King Mabel b Nick Barberry, Bam Bam Bigelow b Bob Cook, Skip b Barry Horowitz, Owen Hart & Yokozuna vs Savio Vega & Razor Ramon ended in a No Contest when time ran out..
August 7, 1995 – RAW: Owen Hart & Yokozuna b Savio Vega & Razor Ramon, Fatu b Tony Devito, Kama b Troy Haste, Diesel b Mo. August 14, 1995 – RAW: Waylon Mercy b Doink the Clown by Submission, The Smoking Gunns (Billy & Bart Gunn) b Bill Garrett & Cody Wade, Hunter Hearst Helmsley b Jeff Hardy, Henry Godwinn b Russ Greenberg, Shawn Michaels b Jerry Lawler by DQ. August 21, 1995 – RAW: Men on a Mission (Mabel & Mo) b Roy Raymond & Joe Hanlock, 1-2-3 Kid b The Brooklyn Brawler, The Undertaker b Tatanka, Jean Pierre Lafitte b Scott Taylor, Diesel & The British Bulldog vs Men on a Mission (Mabel & Mo) ended in a No Contest when Bulldog turned on Diesel! September 11, 1995 – RAW: The British Bulldog b Razor Ramon by DQ, The Smoking Gunns (Billy & Bart Gunn) b The Brooklyn Brawler & Rad Radford, Isaac Yankem b Scott Taylor, Shawn Michaels b Sid. September 18, 1995 – RAW: 1-2-3 Kid b Razor Ramon, Kama & Tatanka b Bob Holly & Savio Vega, Jean Pierre Lafitte b Brian Walsh, Yokozuna & Owen Hart b Men on a Mission (Mabel & Mo). September 25, 1995 – RAW: Marty Jannetty b Skip, The Smoking Gunns (Billy & Bart Gunn) b Yokozuna & Owen Hart, The Undertaker b The British Bulldog by DQ. October 2, 1995 – RAW: Razor Ramon b 1-2-3 Kid, Hunter Hearst Helmsley b Barry Horowitz, PG-13 (J.C. Ice & Wolfie D) b Al Brown & Sonny Rogers, Bret Hart b Jean Pierre Lafitte by Submission. October 9, 1995 – RAW: Yokozuna & Owen Hart & British Bulldog b Diesel & Shawn Michaels & The Undertaker, Fatu b Skip. October 16, 1995 – RAW: Hunter Hearst Helmsley b Doink the Clown, The Smoking Gunns (Billy & Bart Gunn) b PG-13 (J.C. Ice & Wolfie D), Dean Douglas b an un-named jobber, Bret Hart b Isaac Yankem in a steel cage match. October 23, 1995 – RAW: Owen Hart won a Battle Royal (Participants: King Kong Bundy, Marty Jannetty, Isaac Yankem, Kama, Sid, Henry Godwinn, Duke Droese, Jean Pierre Lafitte, Skip, Barry Horowitz, 1-2-3 Kid, Aldo Montoya, Savio Vega, Hunter Hearst Helmsley, Fatu, Hakushi, Bob Holly, Rad Radford & Bam Bam Bigelow), Avatar (Al Snow) b Brian Walsh, Alundra Blayze b Bertha Faye. October 30, 1995 – RAW: Goldust b Savio Vega, Marty Jannetty b Joe Dorgon, The Smoking Gunns (Billy & Bart Gunn) b Phil Apollo & John Rashner, Razor Ramon b Owen Hart by DQ. November 6, 1995 – RAW: The British Bulldog b Marty Jannetty, Henry Godwinn b Terry Richards, Kama b Tony Roy, Bret Hart & Hakushi b Jerry Lawler & Isaac Yankem by DQ. November 13, 1995 – RAW: Hunter Hearst Helmsley vs Henry Godwinn ended in a No Contest, Ahmed Johnson b Jake Steele, King Mabel b Roy Raymond, Sid b Razor Ramon. November 20, 1995 – RAW: 1-2-3 Kid b Hakushi, Skip vs Savio Vega ended in a No Contest, Owen Hart vs Shawn Michaels ended in a No Contest when Shawn Michaels collapsed in the ring. November 27, 1995 – RAW: Ahmed Johnson b Rad Radford, Tomoko Wannabe & Aja Kong b Kyoko Inoue & Alundra Blayze, Hunter Hearst Helmsley b John Chrystal, The Undertaker b Mo. December 4, 1995 – RAW: The British Bulldog b Bob Holly, Fatu b The Brooklyn Brawler, Razor Ramon b Dean Douglas, Marty Jannetty b Sid by DQ. December 18, 1995 – RAW: Jeff Jarrett b Fatu by DQ, Buddy Landell b Bob Holly, Razor Ramon b Yokozuna by Countout.